This is a unique book on parenting. Chris Efessiou, a highly successful entrepreneur and executive, believes that the personal strengths and interpersonal skills essential to effective leadership also apply to being an effective parent. 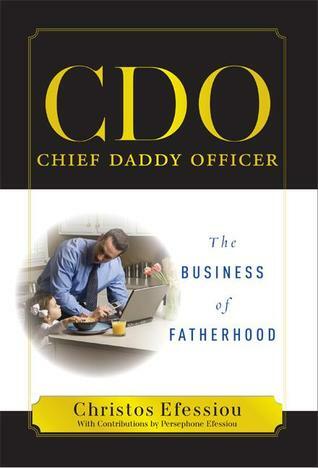 I’ve always believed this, and in his book, CDO – Chief Daddy Officer, he makes a strong case. I love the way he gets right to the point, illustrating his message with stories from his experience of raising his daughter. There’s so much to say that parents need to hear, and in this brief book he covers most of the major topics. And they do, indeed, have parallels to being a manager: goal-setting, planning, authority, communication, empowerment, team building, and accountability. Good stuff! This is a fresh “loving father” perspective on parenting, with hundreds of useful insights. I found that I agreed with the author 100%. If you’re actively parenting a child now and want ideas that work, I strongly recommend that you read this book.